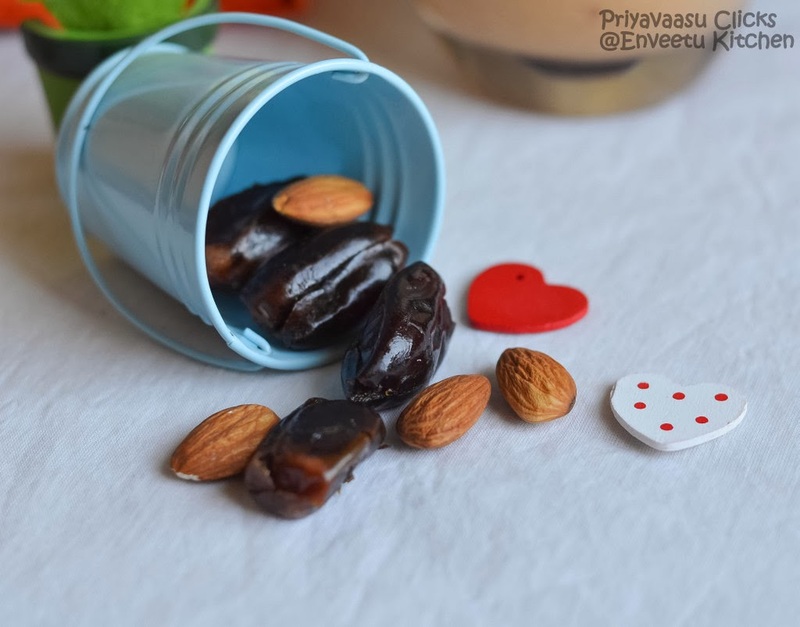 Festive seasons apart from all the fun and joy, we always tend to indulge more in food, and sometimes even overeat. Blame our traditions, there is so such Indian festival where we don't have feast. For the past one week, i have been making sweets/snacks every single day. 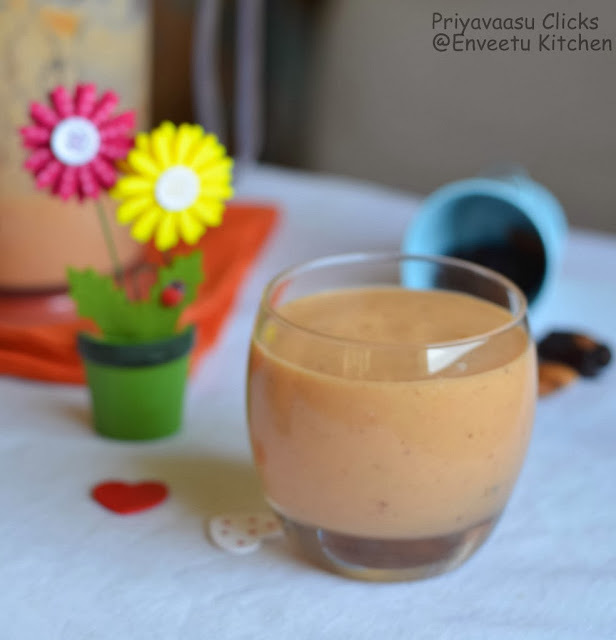 After standing before the stove for a long time, i sometimes feel like skipping a meal.Those days, this smoothie, comes to my rescue. It is filling, delicious and at the same time Nutritious. 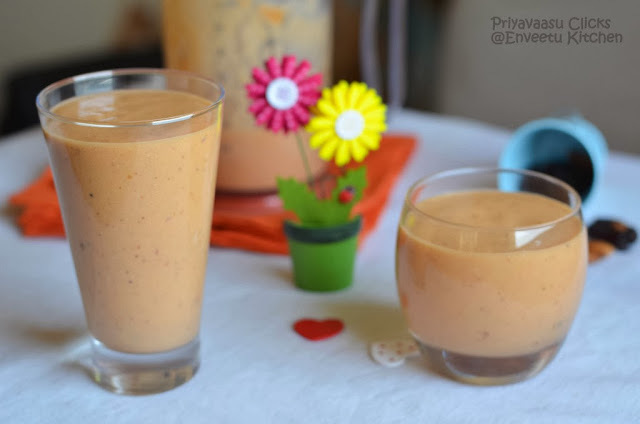 The first time i made a Papaya smoothie, i vowed not to make another one in future. My bad luck, proving the proverb "Never say Never", 2 weeks before, there was a lone papaya in my fridge, literally dying, i couldn't dump it just like that in trash. But then, the taste of a bad smoothie was lingering in my mind too, so I tried to add some extra flavors to the smoothie with some leftover pistachio truffles. It turned out delicious and now i make this often for a filling brunch or late-evening snack. Soak almonds and pistachios in warm water for 15 minutes. Chop dates into pieces. 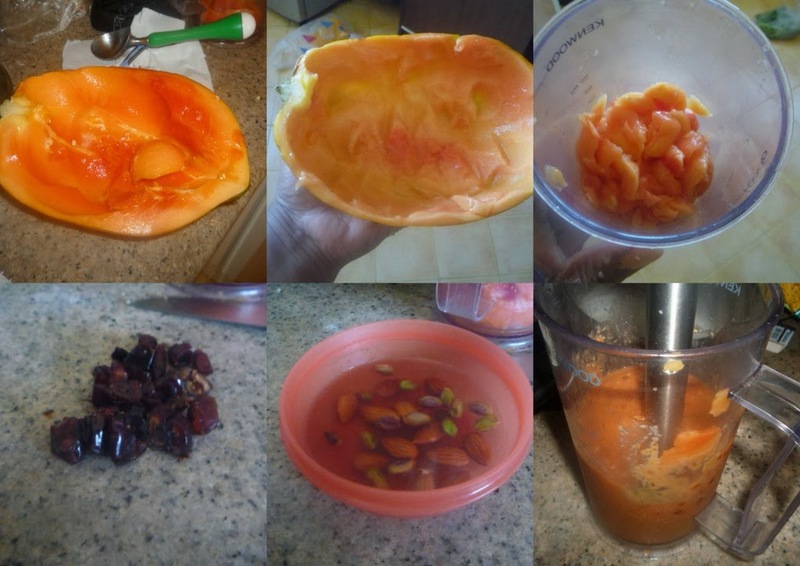 Scoop the flesh out of the Papaya. I used my Ice-cream Scoop to do the same. 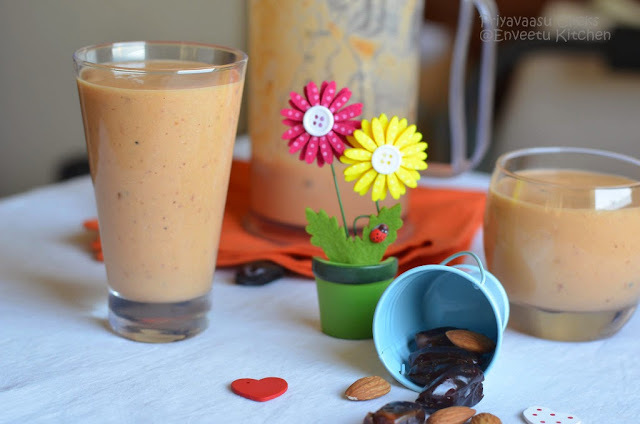 Take the papaya flesh, chopped dates, soaked almonds and pistachios and cardamom in a blender. Blend until smooth.Next add milk, blend again to combine. Serve immediately. 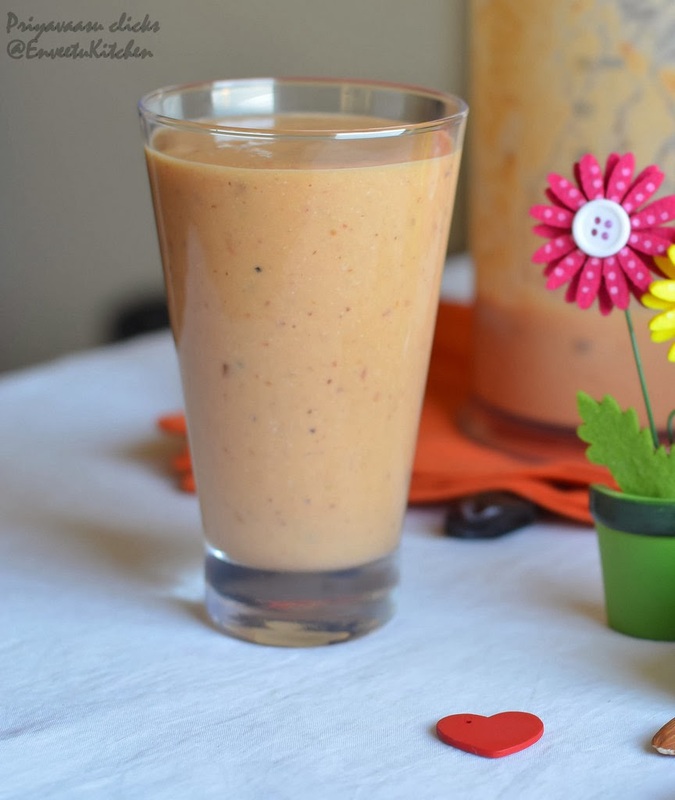 The Smoothie can be refrigerated for 8-10 hours. It tends to become thick, add little milk to bring it to desired consistency. Additionally you can add a tbsp of desiccated coconut to give a different taste. that is really refreshing... i love papaya smoothie and addition of dates and nuts is definitely a bonus! yummy delicious soothing smoothie with awesome combo.